In September 1859 a depasturing licence was issued to Richard Anthony Filleul. The area initially consisted of 80,000 acres and the boundaries were described as the Dunstan Mountains, Lauder Creek, Manuherikia River and Moutere Station. From 1859, Run 223 appears to have had a number of owners however in 1861 Matakanui was settled and run by George Thomson and his family. The family built a small hut at the entrance to, what later became known as, Thomson’s Gorge. George purchased 7000 merinos in Australia to stock the run and by 1862 there were 11490 sheep on Matakanui. In 1864 Matakanui was sold to the Glassford Brothers and run with the help of several managers. Extravagant living and low prices meant that between 1874 and 1882 there were three subdivisions of Matakanui Station. 58,000 acres was retained by Glassford and when he left to go back to Scotland he entrusted his affairs to J.M. Ritchie and G.G. Russell, who later became the founders of the National Mortgage Company. In 1881 James Glassford died and his then manager John Stronach fenced off the high country and was able to confine the sheep for the summer and conserve winter feed enabling them to carry 34,000 sheep without the Lauder Block. After a failed attempt by James’ eldest son, Harry, to take over the management of Matakanui the station was sold again in 1883 to William Laidlaw and David Crawford. There was mounting pressure for agricultural land and on 24th February 1910 most of the Runs were cut up leaving Laidlaw and Crawford with about 800 acres around the homestead. In 1919 Laidlaw’s health took a turn and Matakanui was sold this time to Andrew Cowie Scoular and partner William Sutherland. During that year Laidlaw took on a young shepherd called Billy Young who was retained by Scoular. Scoular built the current Matakanui homestead in 1929. William left the partnership in 1931 and, after Scoular’s death in 1945, his son ran the Station. In 1953, Run 223J was freeholded for 10,750 pounds. Bill Scoular (Andrew’s son and whom he farmed in partnership with) found running the property increasingly difficult through the lack of quality staff. Matakanui was put up for sale in 1955, offered and declined by the Crown, and finally bought by James Scott Paterson (Jim) for 100,000 pounds in 1958. Two of Jim’s sons spent time at Matakanui (Bill and John Paterson) before Martin and Hilary (nee Hudson) took over in 1968. Andrew and Tracy officially took over in 2014. Billy Young died on the job on 10th June 1965 in his 65th year; 47 of them for three owners of Matakanui Station. Martin & Hilary added to Matakanui purchasing in 1976 1,100 acres known as Disputed Spur Farm from the McIntosh family. Disputed Spur farm was granted to Robert McIntosh, a boundary rider, around 1869 because of a dispute between Moutere and Matakanui. In 2004 Matakanui sold Disputed Spur Farm to Guy and Davida Mead in order to purchase Mt Stalker Station in Herbert for Hamish Paterson. A further 3000 acres of Run 223k (Naylor's "Spennymoor") was added in 1994. 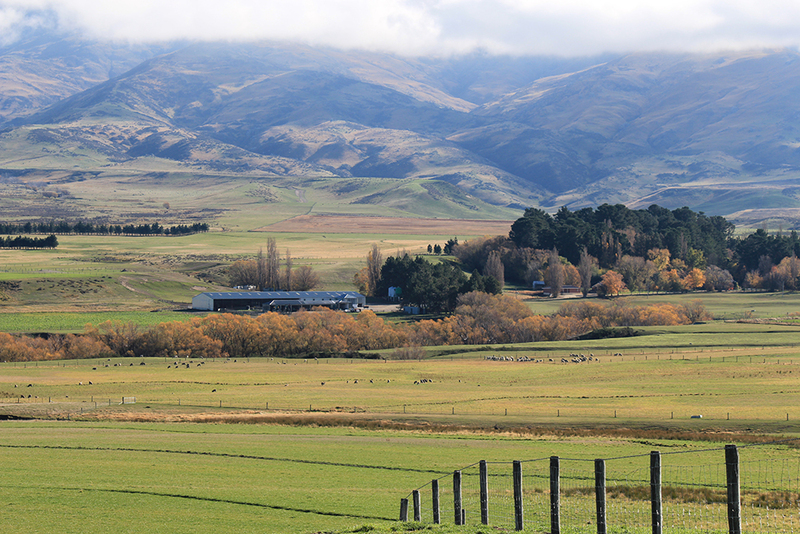 As it exists today Matakanui Station consists of 23,000 acres rising to 5,000 feet on the Dunstan Mountains. The majority of usable land is made up of long leading spurs, open tussock flats and irrigated paddocks. Large scale irrigation development began in 2015 with close to 10 kilometres of pipe laid for gravity fed pivot irrigation. Currently there is 130 hectares under pivot with several more pivots proposed for the future. It runs about 19,200 sheep and about 850 head of Hereford cattle. All stock are raised to maturity. Historically Matakanui ran Romney/Merino Halfbreds but in 1952 under the Scoular’s it was changed to Lincoln /Merinos with subsequent increases in lambing and wool weights. Today the majority of ewes are put to Polwarth rams. Matakanui Polwarths have proven results with winning champions and reserve champions at Shows in Omakau, Wanaka, Fairlie, Christchurch having won there 10 times in the last 13 years. They are established as one of the most versatile and successful breeds. Climate: Hot dry summers and cold winters with an average rainfall of 500mm. Staff: Four full time staff (one is a dedicated tractor driver), casuals during peak times. All agricultural work is done in house. Matakanui Station herd’s TB status is C10, plus the property is located in a TB free area. The furture for Matakanui Station will revolve around long term contracts. We have just signed a 10 year contract with Icebreaker through Merino New Zealand. The plan is to increase numbers of stock to fill Icebreaker, Smartwool and Silere contracts. As a result income will increase and that will allow further development to be done.